The website has become the best and most important marketing tool for hotels. 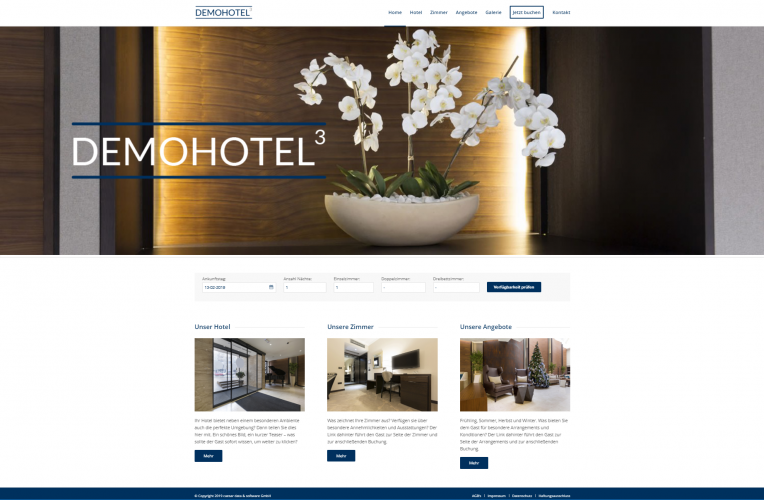 Nowadays it is very important for potential guests to visit a clear, structured and above all modern hotel homepage. 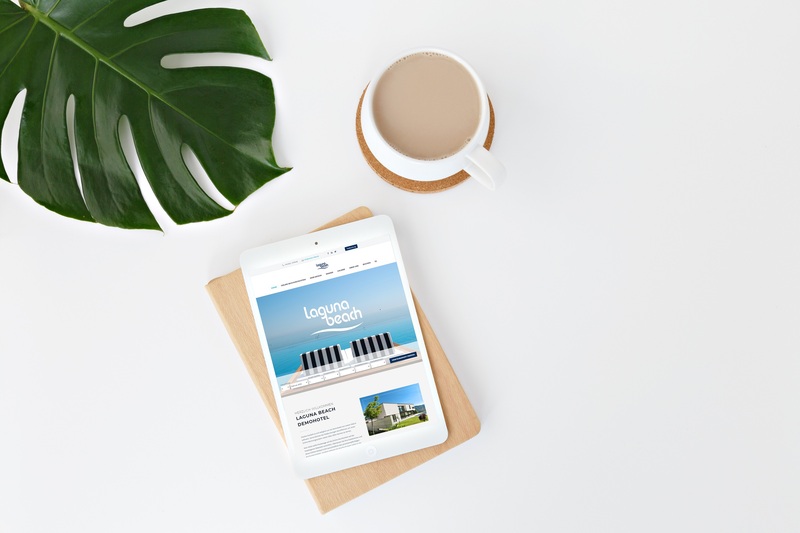 We offer you exactly what customers want: Modern web design with all important functions – not too overloaded, structured and concentrated on the essentials. 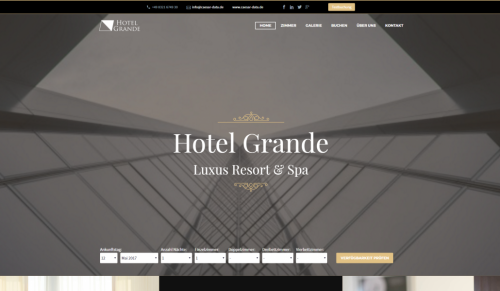 Here you can select a template, which is then adapted to your hotel. Modern optics with all important functions at a glance! Below you will find our five demo hotels. You are welcome to visit each of them by clicking on the picture and the paper clip. If you are interested in one (or more) demo hotels, simply fill out the form below. We will get back to you shortly. 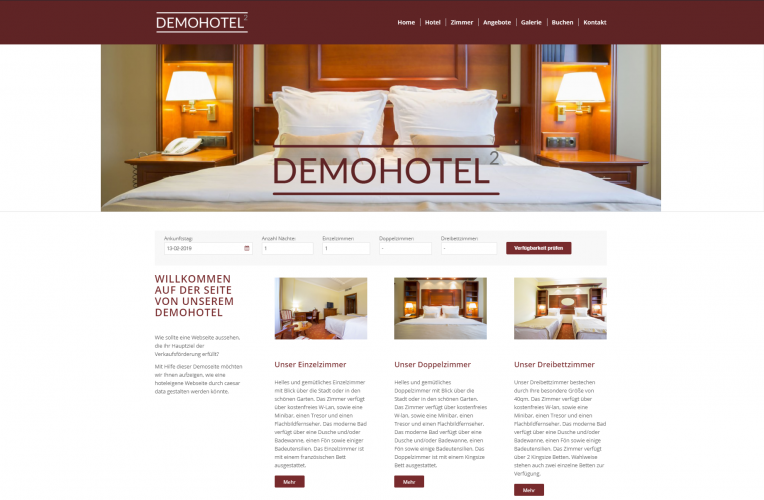 Demohotel 4 Web Design für Hotels - Modern, strukturiert und auf das Wesentliche konzentriert! 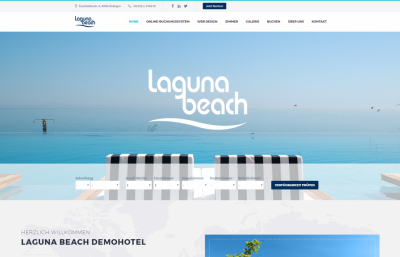 Web Design für Hotels - Modern, strukturiert und auf das Wesentliche konzentriert! 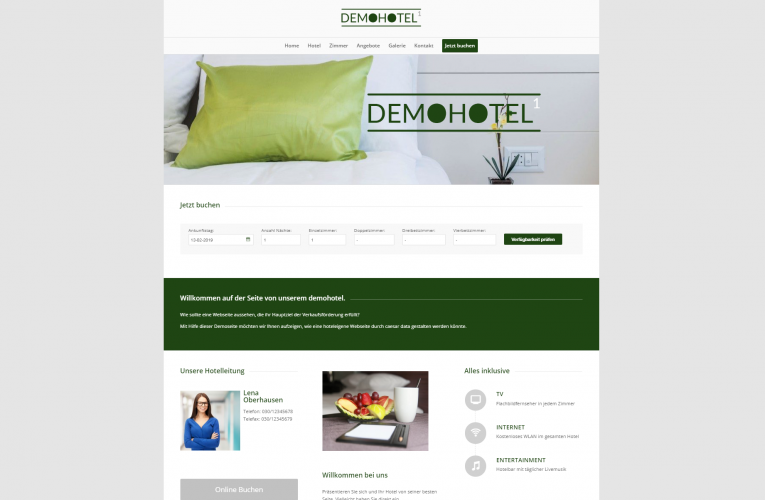 Demohotel 5 Web Design für Hotels - Modern, strukturiert und auf das Wesentliche konzentriert!